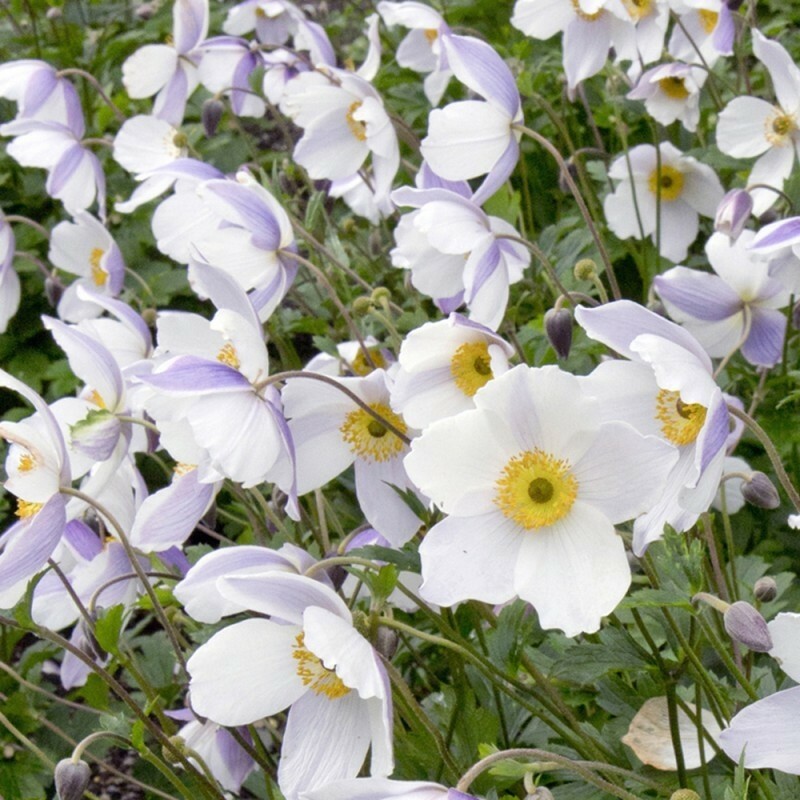 Anemone japonica Elfin Swan is a beautiful Japanese Anemone in high demand. 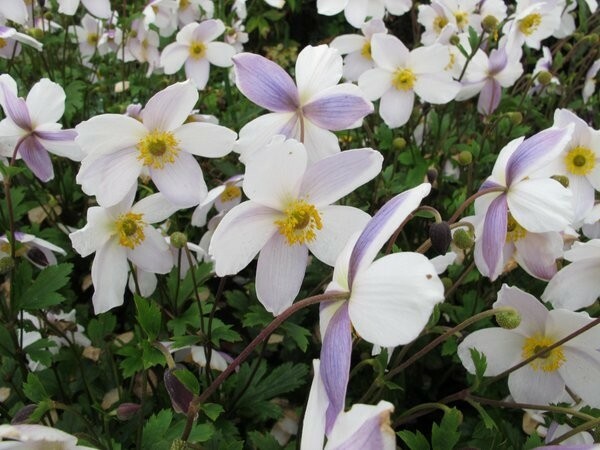 A hardy perennial forming a clump of of attractive foliage that produces masses of beautiful white cup shaped flowers with bands of lilac-blue on the backs of the petals. 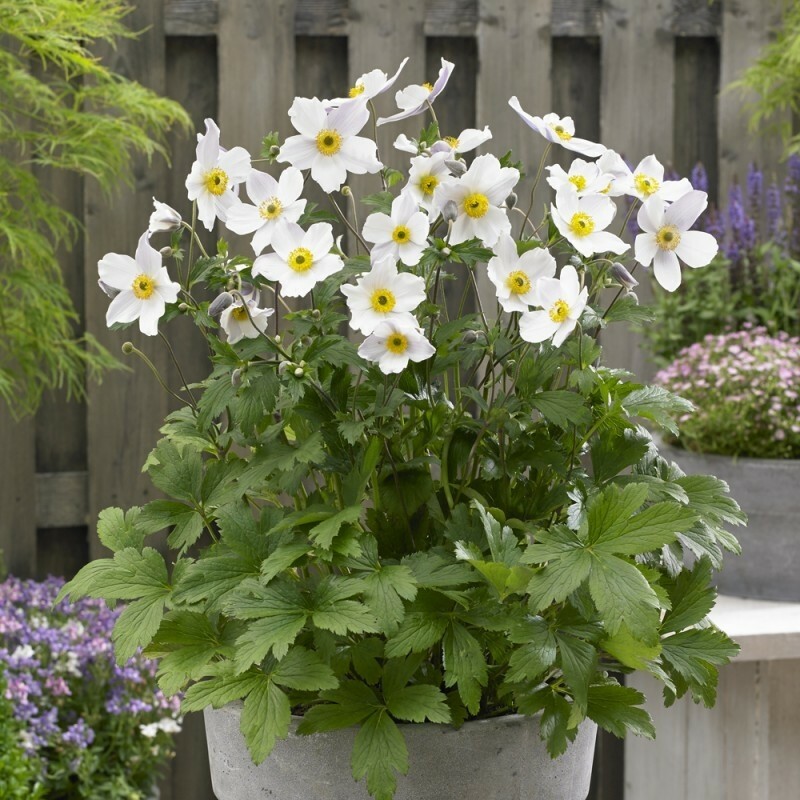 A easy to grow perennial garden plant, Elfin Swan forms a compact plant, the smallest of the Swan Series, reaching around 40cms tall. It will thrive in semi-shade, and blooms from the end of summer well in to the Autumn above the fresh green foliage. Supplied in approx 3 litre containers.